First of all, we would like to wish you all a happy and a healthy New Year! 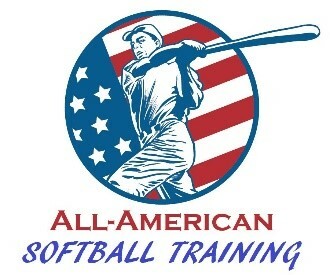 Secondly, as we look ahead towards the new year and thoughts of Spring come to mind; All-American would like to offer a five week, general skills and development program for all the young ladies involved in the Weston Little League Softball program and all other Weston ladies that want to sharpen their softball mechanics. This program will be open to all age groups (ages 8-15) and run for five weeks at 90 minutes per session, focusing on the fundamentals and basic skills that may have been dulled from the long, off season. Players will be separated by age/program level. Within each session, we will focus on proper throwing/receiving, fielding, hitting, and bunting techniques. Our goal is to teach the players new skills along with proper mechanics so that each player can gain confidence, ability, and ultimately succeed in the sport. There will be a separate pitching clinic offered if we get a positive response (please see below on registration form, information to follow). The schedule for this program is as follows: 2/24, 3/3, 3/10, 3/17 3/24 from 4:30 to 6 pm. The Program will run at The Batters Box, 327 Main Ave. Norwalk CT (Route 7). Cost for the 5 week session will be $200 per player and SPACE IS LIMITED due to indoor constraints! Registration will be on a first come, first serve basis. Deadline to register is 2/5 (firm deadline).